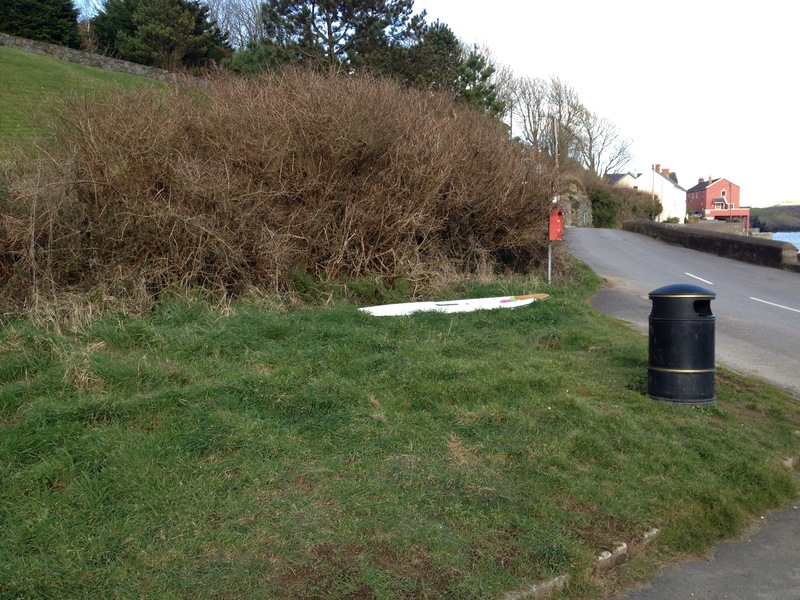 Páraic Casey continues to be remembered, and his life celebrated in Sandycove. These words, Páraic’s words, are the same as those on his bench in Varne Ridge. After a lot of behind the scene negotiations, planning and work everything fell into place on Friday the 5th of April. 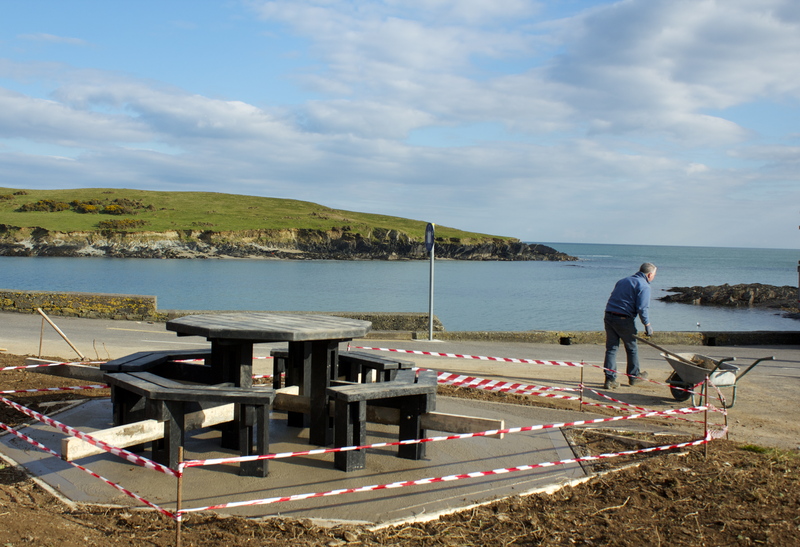 Páraic’s picnic table was installed in Sandycove by a team of dedicated friends and professionals. 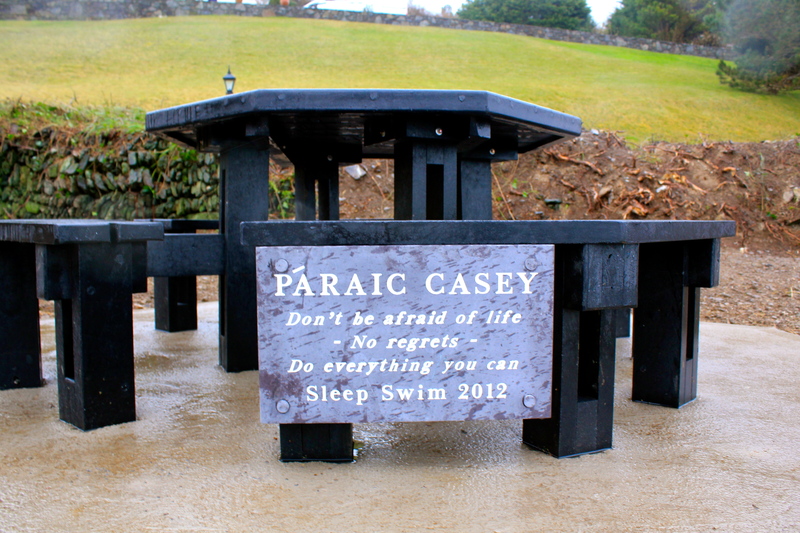 You may be aware from a previous post on this site that a bench has been erected in Páraic’s honour in Dover, thanks to the generous donations of many. Due to the overwhelming generosity of Páraic’s friends and family enough money was raised to do something similar in Sandycove. But why stop at a bench? Why not go all out and put in a picnic table? After all, the best part of any swim is often the chat with fellow swimmers over a hot beverage when you get out of the water. And we all know that Páraic always loved the chat, the tea, the food and the company. So, early on the morning of Friday April 5th a couple of Páraic’s friends (the driving force behind these two projects) left the pool and headed straight to Sandycove for a long day’s work. Different people dropped in and out during the day to give a hand, show encouragement, bring food and generally help out. Everyone has their own interpretation of a helping hand! We all know this view of Sandycove, a little bit of waste ground (although some people find it very useful, for private reasons!). This is where the picnic table was to go. After a morning of serious clearing, leveling and measuring the area was ready for the cement truck that laid the foundation for the table. 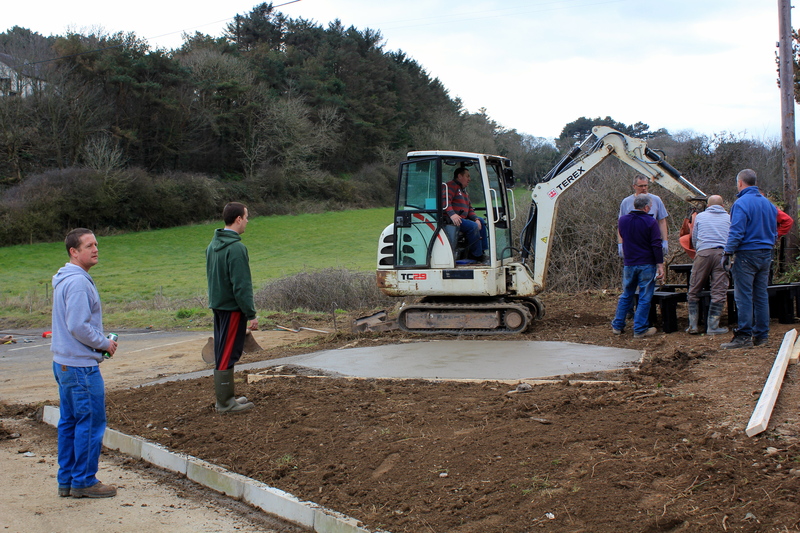 After much deliberation the table was finally ready to be lifted onto the wet cement. It took the brains of the group to figure out how best to do this. Luckily there was an architect standing by to advise! Possibly the best view from any picnic table in Ireland! The finished product is amazing. It is a real tribute to Páraic. 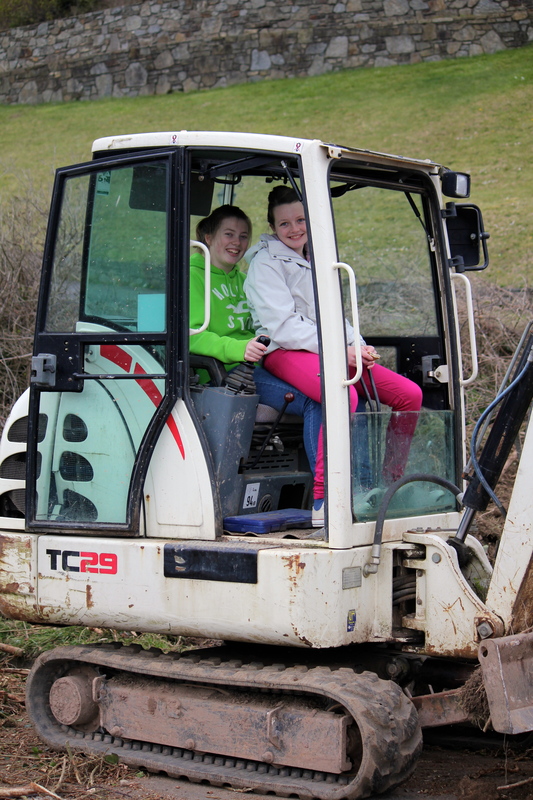 All the money raised, and the helping hands from start to finish in this project are a real testament to the true friend that Páraic was to so many. 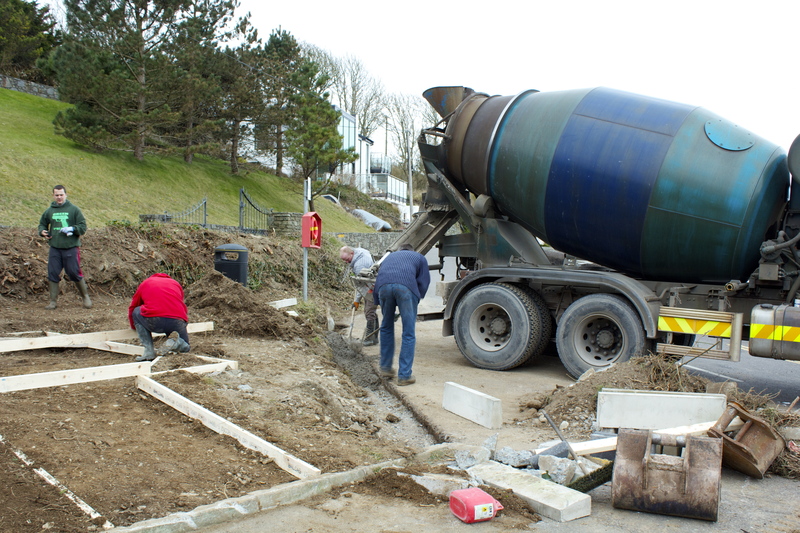 It is also another indication of the fantastic community that we have here in Sandycove. Sandycove Island Swimming Club – The Club that keeps on Giving – A very sincere thank you to all those who made this happen. We look forward to many more years of sitting and chatting and sharing with Páraic at this place that was so close to his heart.